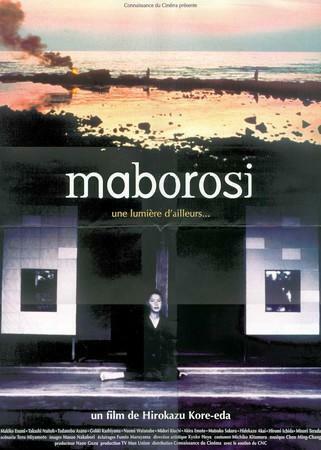 "Exquisitely photographed by Masao Nakabori, 'Maborosi' is indeed a tantalizing film. The first two-thirds, though unhurriedly paced, are charged with beauty and mystery." "Exquisitely beautiful (...) A pictorial tone poem of astonishing visual intensity and emotional depth." "A Japanese film of astonishing beauty and sadness (...) Rating: ★★★★ (out of 4)"
"[Koreeda] has a gift for observing life as it's lived, accumulating simple, seemingly banal scenes into an unforgettable reflection on the frustration and helplessness of trying to explain the ineffable." "Lovely, sad and mesmerizing (...) It's a meditation on death and life and ways that loss alters us forever." "The concept of loss, and the sorrow that shadows it (...) rarely is it handled with such uncommon eloquence as it is in 'Maborosi' (…) Rating: ★★★½ (out of 5)"
"The absence of any spurious, unearned intimacy with the characters makes the climactic scenes profoundly moving."